If you want the best, you make sure it's Classified. We’ve been in contact with Inwin about some of their latest cases, like the one we got earlier, the Inwin 303. I picked this one because of our high watercooling standards. This unit is the white variant. So does it live up to the high standard or is it blue in the front panel? 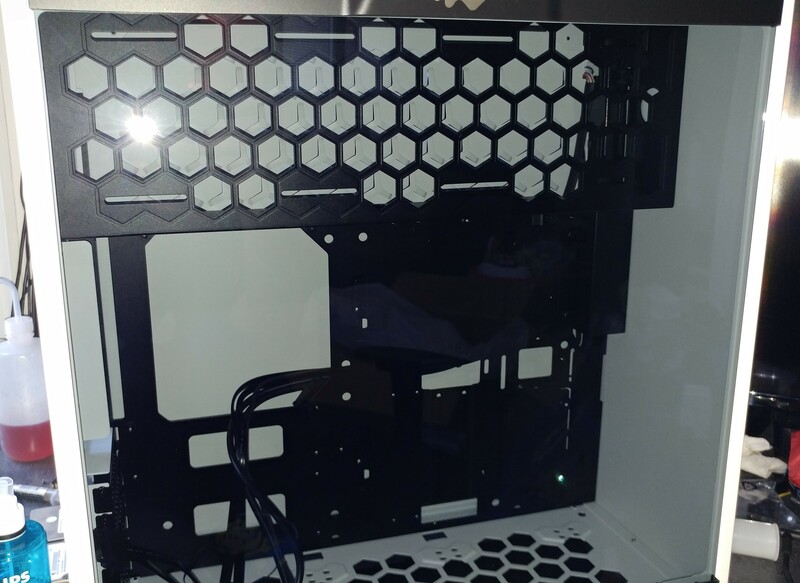 Let’s find out after some pictures of this case. 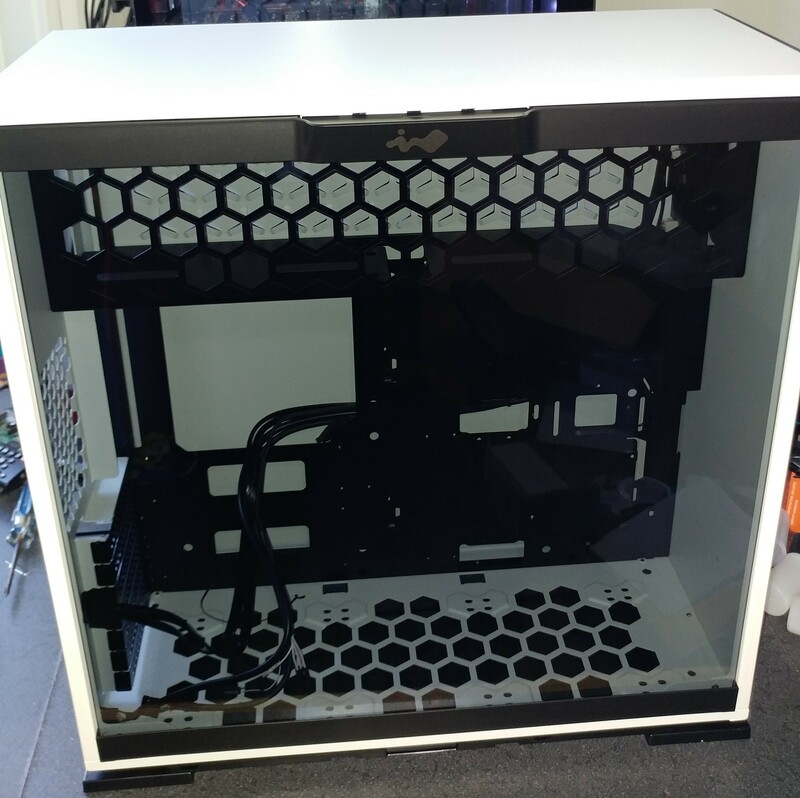 One of the main reasons we picked this case, along with the other cases we tend to review, is because of the dual 360mm radiator support. This one though seems much more limited in terms of radiator thickness than previous cases I’ve reviewed (and reviewing) or even used personally. I believe ideal thickness is between 25mm – 35mm on the radiator(s). Depends if you’re using a single video card or dual video card though. We see some ways this could be improved but more on that later. The Inwin 303 case comes out of the box with (2) 2.5inch mounts, (2) 3.5inch mounts, with an optional slot for a 3rd 2.5 inch drive tray. It officially supports an ATX motherboard and below, but I believe a EATX could fit within this case, it would just cover some motherboard tray holes. It’s a lightweight case, weighing in around 25 lbs. It doesn’t have bays for 5.25 inch drives, but those haven’t popular for awhile, so most people are good. There is a lot of room for improvement in its design. First and foremost, I believe the designs for hard drive placements could be improved. 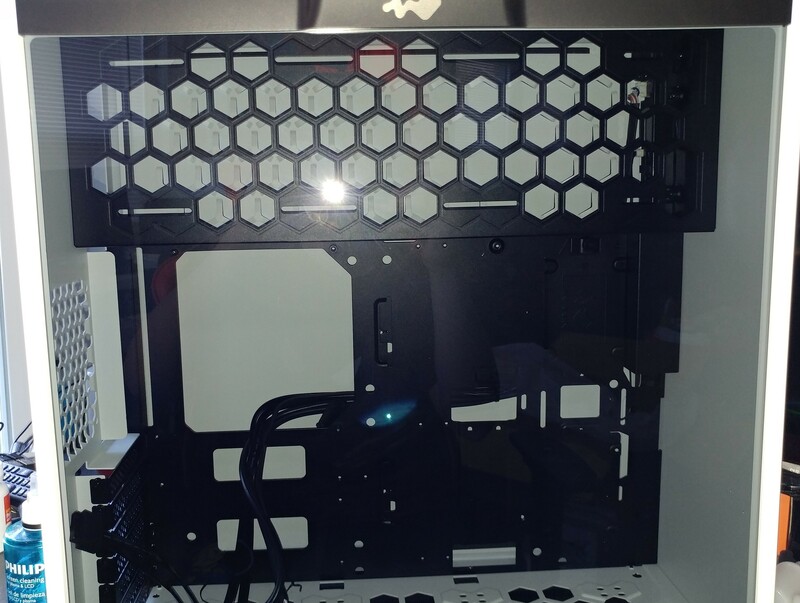 Specifically the 3.5 inch mounts behind the motherboard tray. They interfere with cable management and can be quite a challenge to workaround. If they were under the CPU cutout on the motherboard tray it would be better. 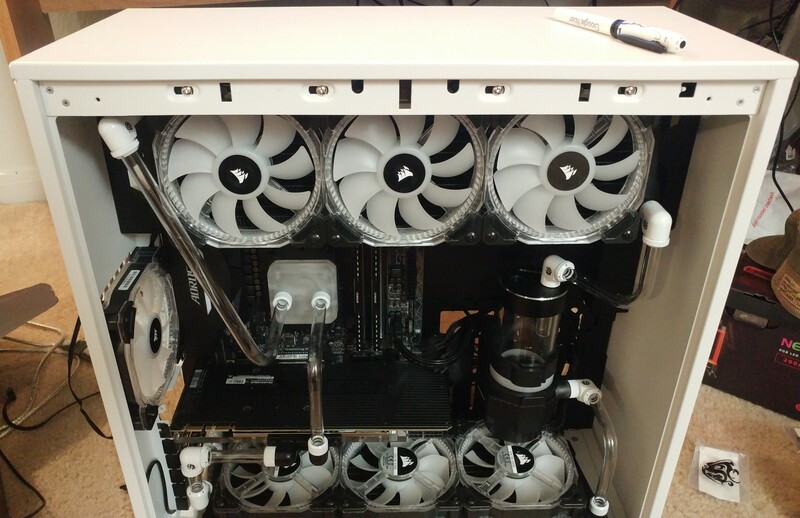 Another issue is with the reservoir mounting and power supply location. 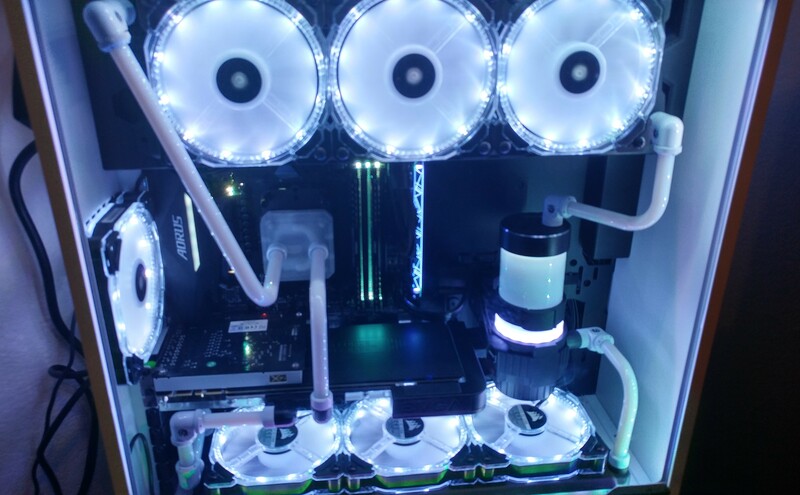 Due to the fact that having a 360mm radiator at the top, the leftmost fan will blow hot air into the power supply unit if you use a full size ATX unit. Talking about reservoir mounting, there is only a few pre-drilled holes they provide to mount the unit. 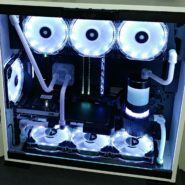 I used the only one that fit my needs as you see in the build I made from the pictures. But it may not be ideal for your own needs. There are some easy refinements to make, such as better mounting holes and more of them for reservoir mounting. 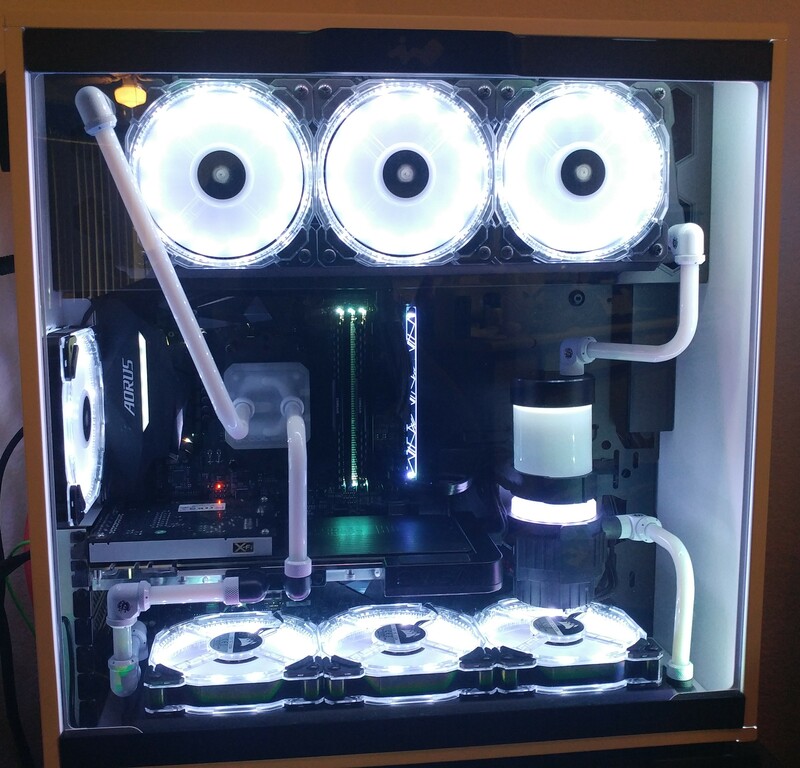 Making the case around 80mm taller would allow different bottom radiators to be used or easier access to the motherboard’s bottom IO (USBs, Front Panel IO, RGB headers, etc) and even watercooled SLI solutions. 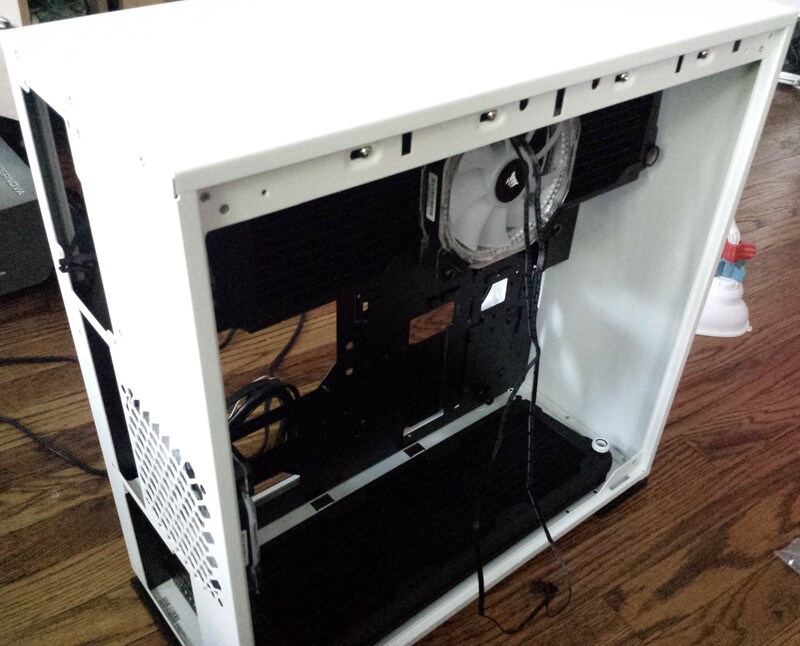 For the power supply, they could adapt to SFX form factor and add a air duct blowing out the back of the case. Allowing the power supply at SFX to basically sit against the side panel. Also I felt like the front of case could be utilized better somehow. It looks very plain in the front of the case both in use and visual appearance. So upon this review, It’s a solid case but there is completely room for improvement. The Inwin 303 is a lightweight case with dual 360mm radiator support but in a limited fashion. There is some design oversight that needs to be improved but we would recommend this case because of the simple beauty it can display when utilized correctly. 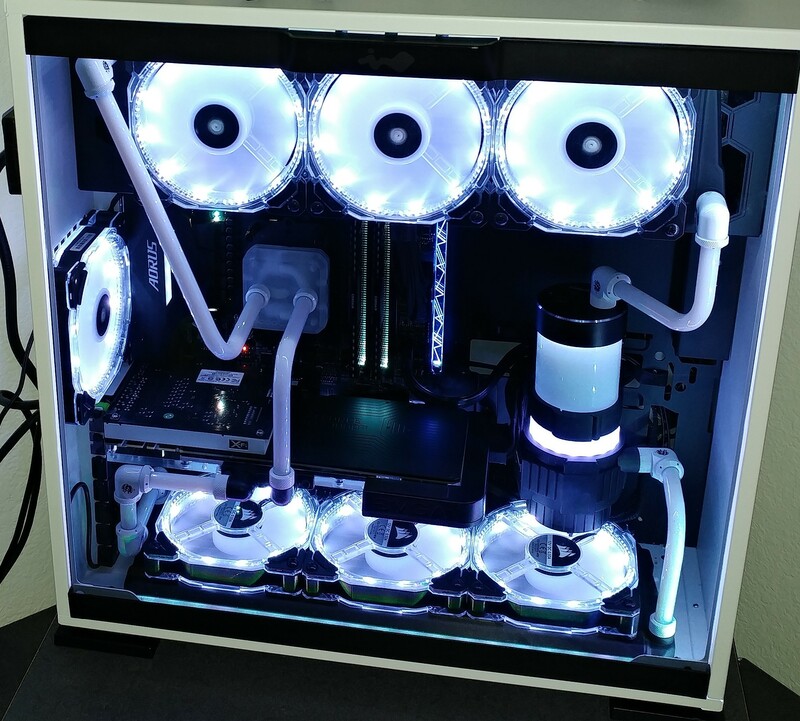 When showing off the build at a local event, people were astonished with it. So with this in mind, we will give it our approval. 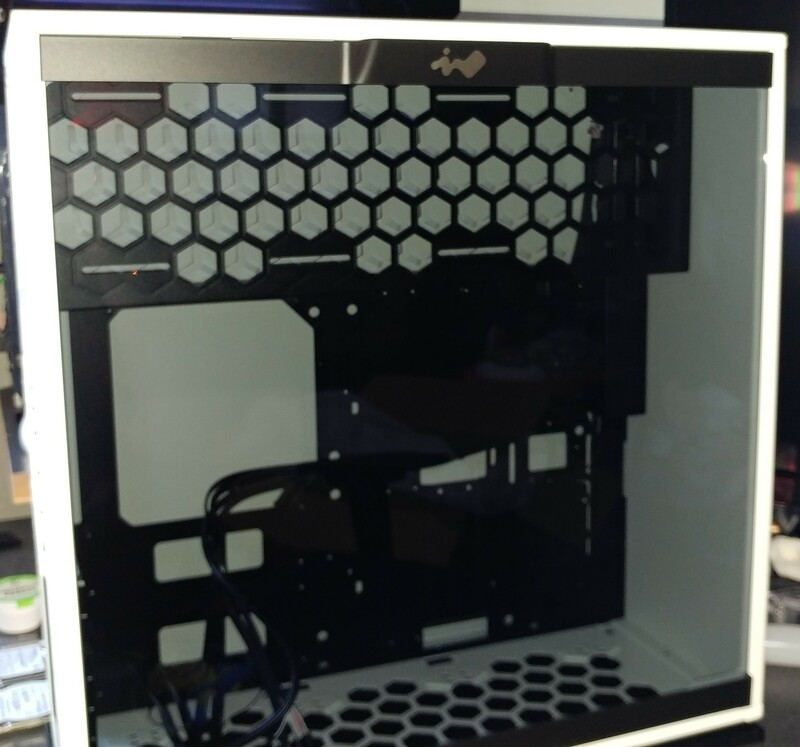 This product was given for free to us, There were not expectations between Inwin and us besides we review the case and show it off as a build at a local LAN Party. The outcome of this review was not predetermined.